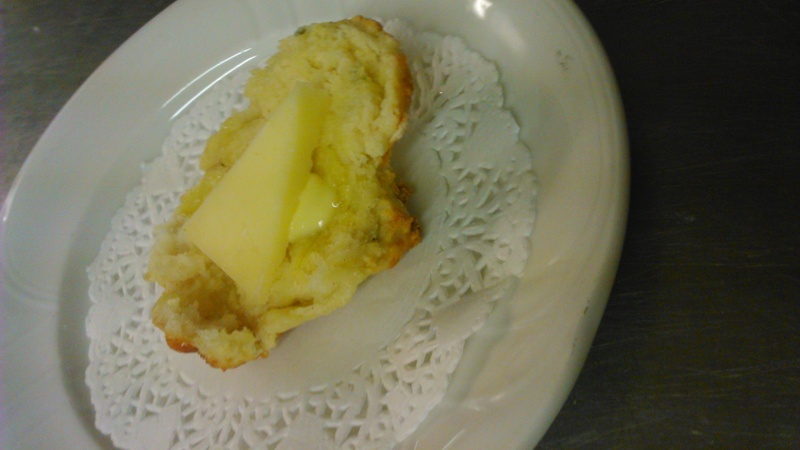 I shared on facebook recently an image of one of my herb scones dripping with good old fashioned Irish butter – can’t be beaten! A real comfort food for the cold weather right now and a great snack for when the kids get in from school and are famished and dinner is not quite ready! Grease a large baking tray. Sieve the flour, salt and baking soda into a bowl. Cut the butter into small pieces and rub into the flour mixture until it resembles fine breadcrumbs. Add in the sugar and chopped herbs. Make a well in the centre and add the beaten egg. Pour in enough buttermilk to form a soft dough. Turn out onto a floured work surface and lightly knead. Roll out to approx. 2.5 cm high. Using a scone cutter, cut out 18 small or 12 large scones. Spread the scones out on a baking tray and bake for approximately 15 minutes until golden in colour. Halloween is over only a few days and now it is all about Christmas! Our Christmas Best Seller is a half day cookery class plus a signed copy of my latest cookbook, “Bake Like an Italian”, for €145 plus P&P, order online before November 30th and receive free package & postage within Ireland! 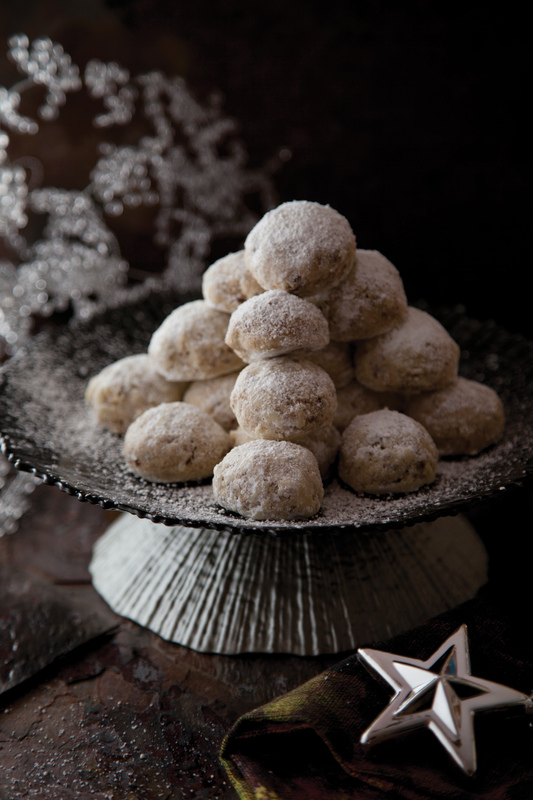 Now I’m just spoiling you all, here is an example of some of the lovely Christmas recipes from ‘Bake Like An Italian’ and what you can learn here at Ballyknocken Cookery School, My Italian Snowballs !! These little biscuits are usually made with almonds, but I have made mine here with pecans. 1 Preheat the oven to 160°C/gas 140°C/gas 3. Line 2 baking trays with baking parchment. for 18–20 minutes, until lightly golden brown. 5 minutes before rolling in the icing sugar while still warm. Dust again when cool. Mix a little edible golden shimmer powder into the icing sugar to catch a glimmer from the twinkle lights. Great fun at Newstalk yesterday October 28th with Ivan Yates and Chris Donoghue. Talking about all ways to keep the kids fed and entertained at Halloween. Remember Halloween is just one day and when it comes to children’s diets it is not about what they do or eat on one day; it’s what they do every day of the year. Teaching children how to cook is a fun way to change their attitude to food. 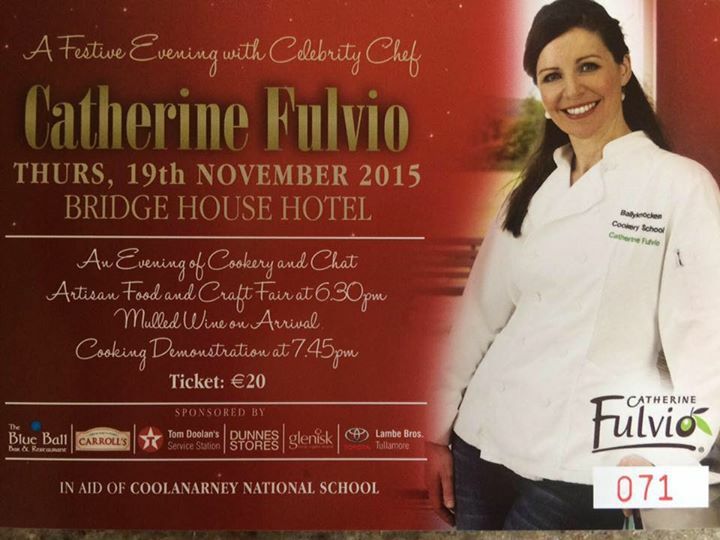 Check out my calendar of cookery classes here http://www.thecookeryschool.ie/calender.php for details on our Head Chef Junior Chef classes, perfect for your budding little chef! Here is my Chicken Pasta Bake recipe to help you fill those kiddies up before trick or treating and all that junk food ! For more recipes like this, my latest cookbook Bake Like An Italian has all you need! I ask what would you like for dinner and the reply is chicken pasta bake all the time, so I hope that your family enjoys this recipe as much as mine. It’s so easy to whizz it up, especially during term time, when everything is very hectic. 1 Preheat the oven to 180°C/fan 160°C/gas 4. Grease a medium gratin or lasagne dish with a little olive oil. 2 Cook the penne according to the instructions on the packet. Once cooked, retain 100ml of the pasta cooking water and drain the pasta. 3 To make the sauce, combine the butter, flour and milk in a medium saucepan over a medium heat and just bring to the boil while whisking all the time to form a loose sauce. Stir in the cheese and add some of the pasta cooking liquid if the sauce is too thick. Season with salt and freshly ground black pepper. 4 Place the cooked pasta, cooked chicken, peas and sweetcorn in a large bowl. Pour over the sauce and mix well. Spoon the pasta into the gratin dish and sprinkle over the breadcrumbs, Parmesan and parsley. Bake for 20 minutes, until the top is golden. I add 1 teaspoon of Dijon mustard for a little extra zing, but I don’t tell the children! 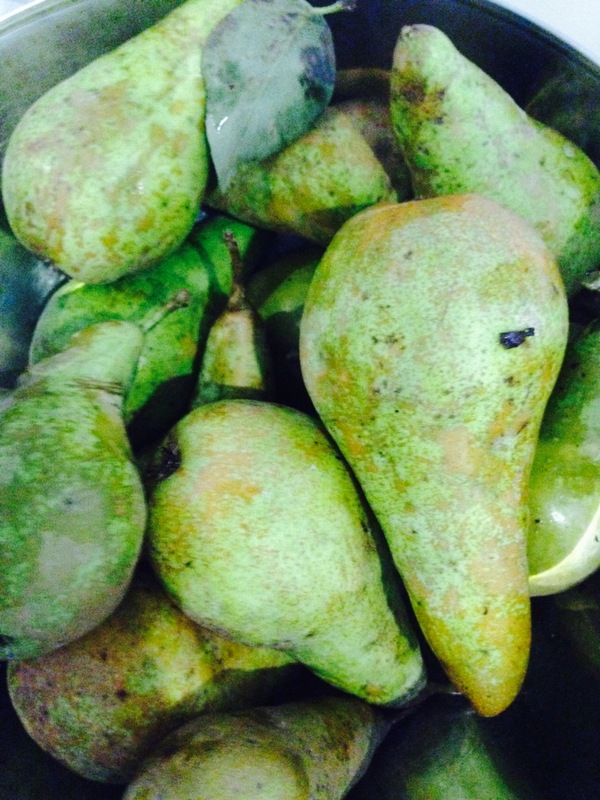 Its harvest time for our pears here at Ballyknocken! And what a lovely and juicy harvest we have had with them. 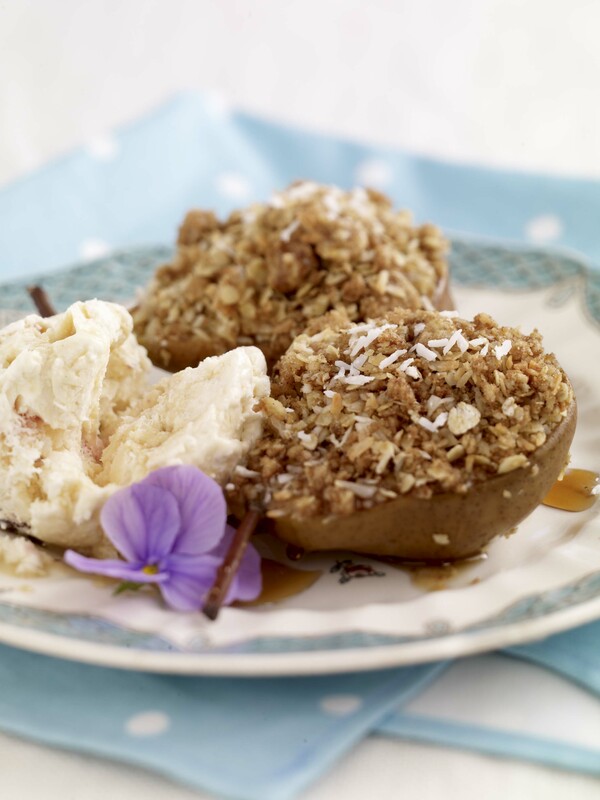 A favourite in our Cookery School and our many hen parties here is my Baked Pear Halves with a Cinnamon Coconut Crumble. I like to think of it as one of the healthier desserts but with a little bit of boldness if you like 😉 !! A little goes a long way for this recipe and the crumble can be frozen as well. Preheat the oven to 180C/Fan 160C / Gas 4. Combine the flours, butter, brown sugar, coconut and cinnamon together to form a crumble. Coat the pears with the melted butter and place on a baking trays lined with parchment. Drizzle with maple syrup and pile the crumble on top of the pears. Place in the oven and bake for about 20 – 25 minutes until the pears are soft and the crumble crisp. The time depends on the size of the pears. Serve with vanilla ice cream. 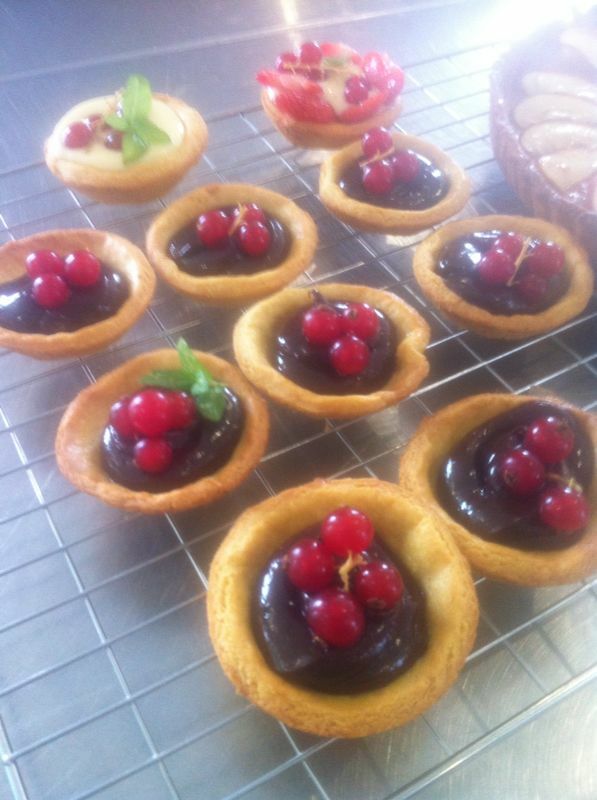 Really want to share with you some little treats from our Techniques of Baking Classes running now in its 3rd week and next week been the last for this year. Tutors and students alike are having a great time. It seems from what I have read, that baking is the latest trend in up skilling and I am only delighted to hear this. 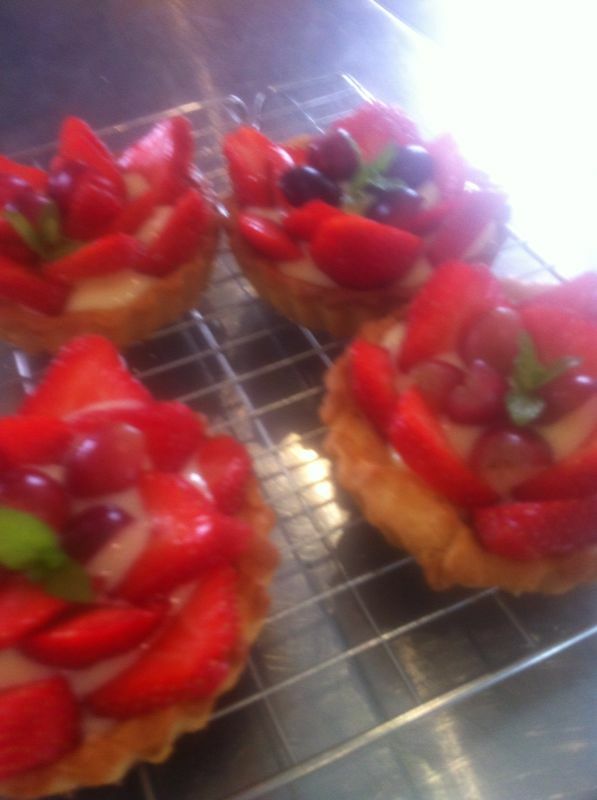 Especially when day in and day out here at Ballyknocken Cookery School we experience the benefits so much. The therapeutic and almost trancelike motion in kneading alone many have commented on as having an almost calming soothing affect. I always find it the most enjoyable way to leave the worries of the day behind. Reading recipes, improvising on various ingredients, feeling out variations on flavours, and the general baseline ideas on the various tasks for baking I find carry on to everyday life and work. 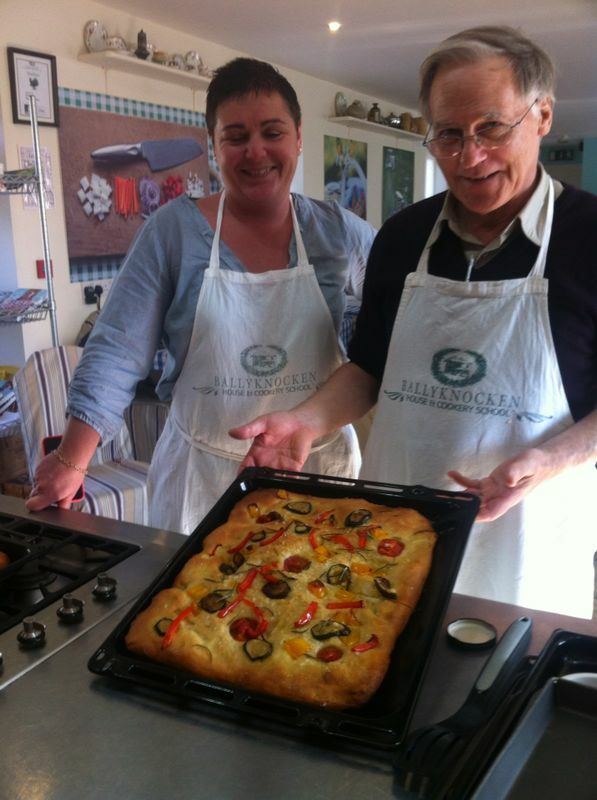 In our various Cookery Classes, many students, now friends have reflected similar. 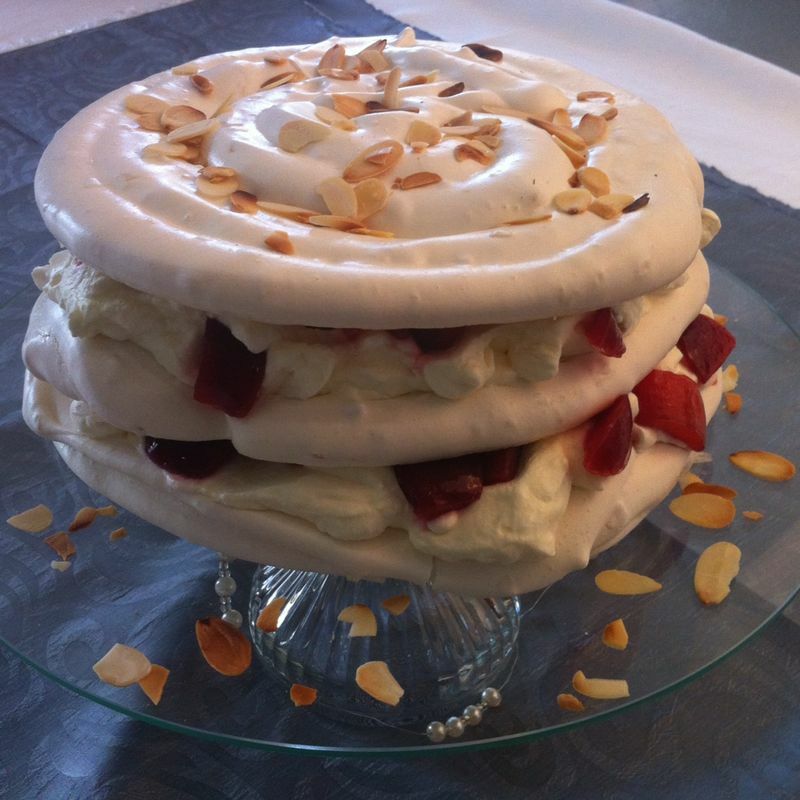 In particular many of our corporate guests who come to us as part of a team building activity have commented on the various everyday life benefits the baking skills give them, and have readily admitted to never before having even considered baking as a notion. I get such joy when I hear how just one class can change peoples perspective on one of my greatest passions. 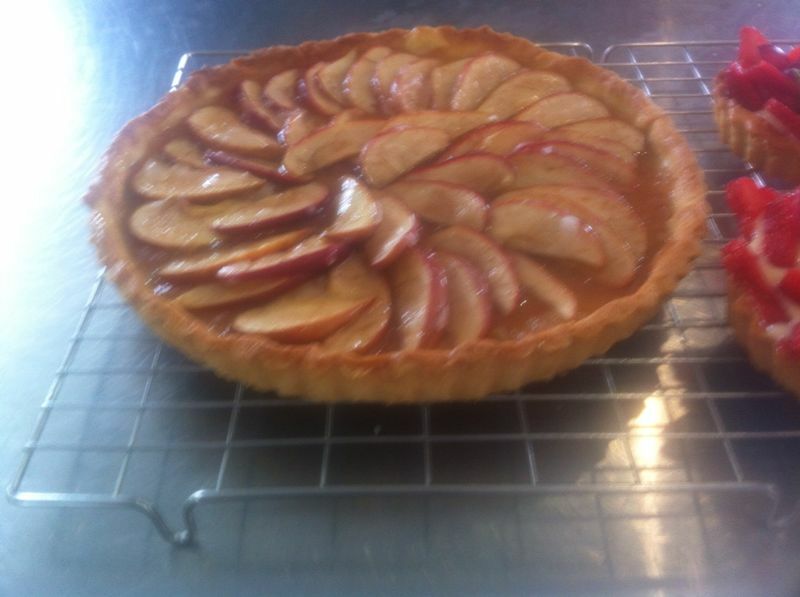 I have shared with you now some images of the beautiful creations our Techniques of Baking students have created over the past weeks. Breads, Pastries, Desserts galore! If baking is your passion, don’t miss your opportunity to join us here in the Cookery School at our next Techniques of Baking course. Quick and tasty soups, are always a winner! Here is a quick and tasty soup recipe for the chilly days ahead with a little guide on how to also! Peel and chop the onions. Melt the butter and oil in a saucepan and add the onions. Cook over a very low heat until the onions are softened. In the meantime, chop and peel the butternut squash, removing all the seeds. Dice and add to the softened onions. Meantime, peel, core and dice the cooking apple and add along with the chopped sage leaves. Simmer until the squash and apple are soft. Remove from the heat and allow to cool. When cooled, blitz in batches in a blender and return to the saucepan. Dilute with more chicken stock if required. Test for seasoning and add more salt or pepper as required. Decorate with a dollop of cream and some sage leaves.